The theory is that both cartomizers should provide a similar vaping experience. 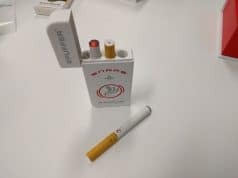 So I tried prefilled cartomizers and compared them to blanks filled with the same liquid to see if there’s any difference at all. As you might have guessed, it’s pretty much the same – but the blanks seem to taste better and give a little more vapor. Here’s my theory: the cartridges Halo sent me were packaged a while ago, and some of the e-juice evaporated (even tho they were sealed). But I’m aware that it would take quite a while for that to happen! I’ll see if I can make the save observation with other brands of e-cigs. In addition, it’s good to know that both types of cartomizers can be refilled. 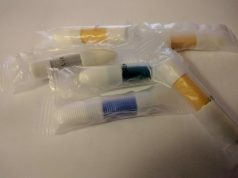 The prefilled cartomizers are a bit more difficult to open, so we’d still recommend blanks if you’re planning to refill them – but you definitely shouldn’t throw away your empty cartomizers. 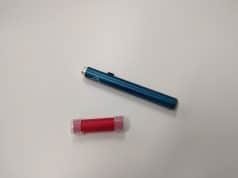 Previous articleWhat are the nicotine salts in the Juul Pods?